In granite, forever emblazoned, a shrine of democracy marches across the skyline of America. Gazing over the Black Hills, the four U.S. presidents of Mount Rushmore National Memorial stand for hope, determination and the spirit of a nation. The majestic 60-foot (18 m) faces are recognized worldwide. This national treasure stands as a symbol of American democracy and represents critical times in American history. From the Grandview Terrace, visitors get spectacular views of George Washington, Thomas Jefferson, Teddy Roosevelt and Abraham Lincoln. 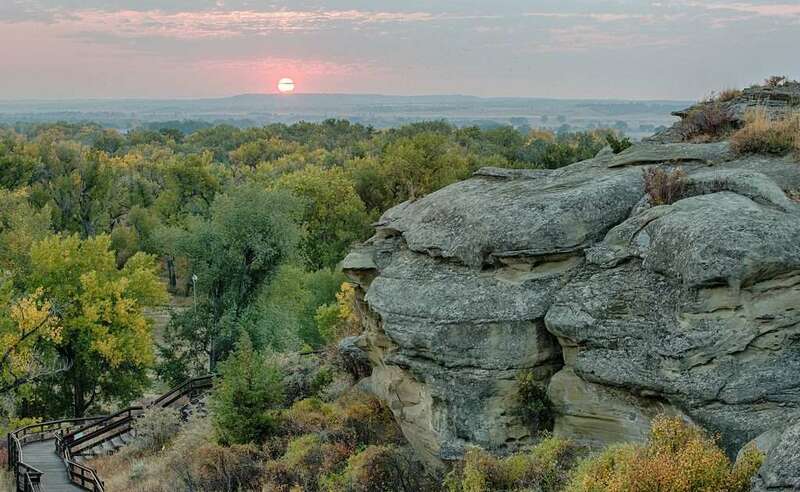 For a closer view, visitors can walk the half-mile (0.8 km) Presidential Trail, which loops along the base of the mountain and allows visitors to stand in the shadow of icons, while meandering through the relaxing South Dakota wilderness that reveals unique perspectives of the monument. Click arrows below to begin. The impressive Lincoln Borglum Museum contains interactive interpretive exhibits. Visitors will discover why the four presidents were selected and how Borglum’s original vision differed from the final, iconic result. See how the mountain was carved, and learn about sculptor Gutzon Borglum and the workers who tempted danger to bring Mount Rushmore to life. A nightly lighting ceremony enthralls visitors. Each evening, May through September, the ceremony is held in the park’s outdoor Amphitheater. It highlights the making of this national monument with a video, flag-lowering ceremony, a salute to veterans, and lighting of the memorial. The Elkhorn Ranch Unit is the location of Roosevelt’s original ranch in the Badlands, located in between the two larger units. The remote location features interpretive plaques on the site to provide details of the ranch. Hiking trails abound in all three locations, including the renowned Maah Haah Hey Trail. Theodore Roosevelt National Park is open year-round. An ancient sea floor rises and swallows the rolling plains. Colorful, dramatic and surreal, the sculptured pinnacles and painted gullies preserve the past in layers of colorful sediment. The striking landscape of Badlands National Park boasts a maze of buttes, canyons, pinnacles and spires. With a number of trails taking you on hikes of varying length, there’s exploration available for everyone. Get up close to the painted landscape on hikes ranging from flat stretches across prairie to uphill climbs through the Badlands formations. Explore trails and monuments that are millions of years in the making. The Wall formation stretches 60 miles, revealing sedimentary rock layers exposed by eons of erosion. A number of overlooks show off panoramic vistas where the surrounding grassland takes hold. Don’t be surprised if you encounter some park residents during your relaxing drive through the Badlands. Wildlife abounds in the park’s 244,000 acres and can often be seen while hiking, camping and traveling the Badlands Loop Scenic Byway. Take Sage Creek Rim Road into vast grasslands to watch many kinds of prairie animals in their natural habitat beyond National Forests. Bison, prairie dogs, antelope, bighorn sheep, and other beautiful examples of life populate the park, adding to an already beautiful landscape. Pile in for an unforgettable scenic drive through Badlands National Park. Be prepared to break for multiple vacation photos. Visitors can also learn about the park’s previous residents. Skeletons of three-toed horses and saber-toothed cats are among the many fossilized species you can learn about on the park’s Fossil Exhibit Trail, an easy 0.25-mile boardwalk trail that features fossil replicas and informative exhibits about the now-extinct creatures that once called the area home. But those looking for a truly unique Badlands experience should watch the sun rise or set in the park. Beautiful colors are slowly exposed with the changing light, offering an unforgettable view that must be seen to be believed. At night, the stars become the only light you see, offering a venue for stargazing that rivals any you’ve ever experienced. Go beneath the Black Hills and take a ranger-guided tour through a maze of chambers adorned in calcite crystals. Different levels of adventure are available for all ages and abilities, and unique experiences await those looking for something different. 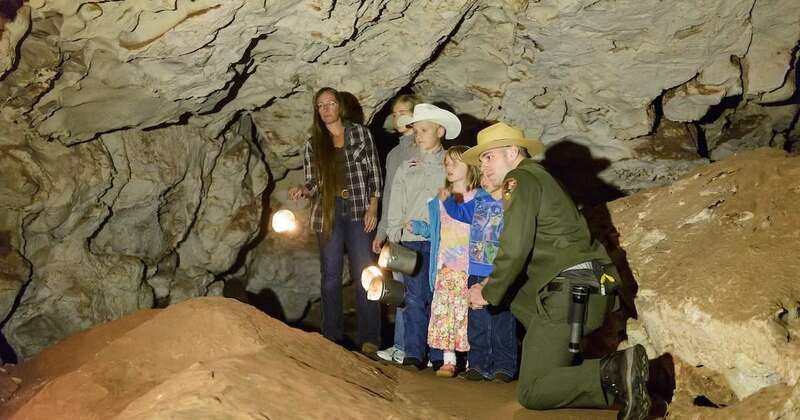 The cave’s Lantern Tour offers a classic summer experience where a park ranger dressed in a 1940s-style uniform leads a group through a historic entrance via lantern. Those wanting to go deeper should make their reservations. Upon arrival, explorers will grab a hardhat and a headlamp before experiencing the cave in its natural state. This underground expedition is not for the faint of heart, but it’s an experience that offers an amazing look at geology and natural history. Continue your exploration above ground on the nature trails of a 1,279-acre park. Nearly 100 species of birds have been spotted in the area as well as white-tailed deer, mule deer, eastern cottontail rabbits and red squirrels. 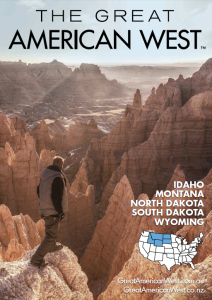 Bighorn sheep and Rocky Mountain elk also call the area home. 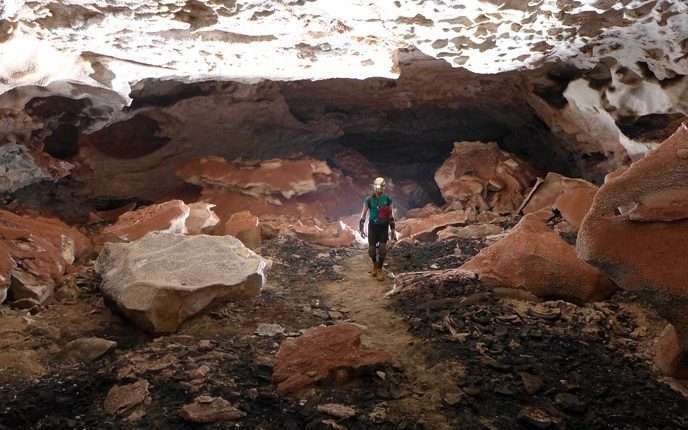 The first cave to be designated a national park, Wind Cave National Park has 148 miles of mapped and surveyed passages…and they’re still counting. The cave features the world’s largest concentration of rare boxwork formations along with 28,295 acres of South Dakota wildlife sanctuary on the surface. Hidden under swaying grasses and sacred hillside forests, a centuries-old maze whistles to curious passersby. A sanctuary for two worlds, above and below, rich grounds hold rare finds running deep through the past. Descend into the cave on a ranger-guided tour and feel the barometric breath of one of the world’s longest caves. See the uncommon structure of honeycomb-patterned projecting calcite from cave walls, the finest example of boxwork in the world. A variety of exploration options await you. Take a candlelight tour of the cave for a fascinating and historical adventure. When you’re done exploring the cave, check out the surface. The 33,851-acre attraction is as impressive above ground as it is below. Its unique ecosystem is home to elk, buffalo, antelope, deer, prairie dogs and black-footed ferrets. For some American Indians, the cave is also sacred place. The oral tradition of the Lakota people tells the story that the cave is where humans first emerged from within the earth to live on the surface. Not much is known about the early years of the Lakota warrior who earned his father’s name of Tasunka Witco (“Crazy Horse”) by proving himself in battle. But he will be forever remembered and honored thanks to the work of Korczak Ziolkowski and his family. Ziolkowski, a noted New England sculptor, came to the Black Hills of South Dakota to help Gutzon Borglum with the creation of Mount Rushmore. But time passed, and he ended up accepting the invitation of Chief Henry Standing Bear to create a monument designed to both honor Crazy Horse as well as help mend relations between Native Americans and non-Natives. “My fellow chiefs and I would like the white man to know that the red man has great heroes also,” Standing Bear wrote to Ziolkowski. Korczak agreed. On June 3, 1948, the inaugural blast took place, initiating an effort to create the world’s largest mountain carving that’s never utilized a single penny of government funding. 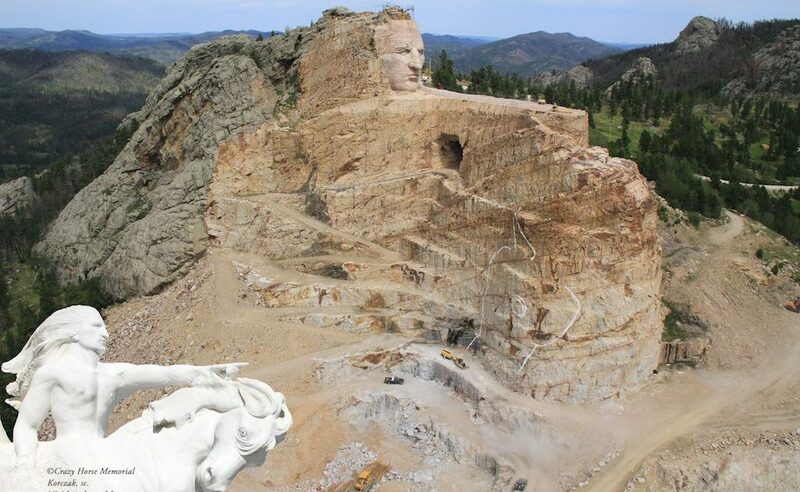 Today the giant face of Crazy Horse can be seen looking out over the Black Hills. Even though both Korczak and his wife, Ruth, have passed away, work has never ceased on the monument. The site attracts more than one million visitors a year. It also offers American Indian students the chance to complete a summer of college education and internships. The campus is also home to several on-site museums featuring American Indian art and artifacts from tribes across North America as well as a restaurant.